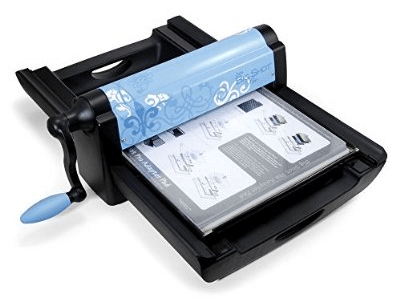 The Sizzix Big Shot Pro by Ellison is a professional manual die cutting machine with a wide 13-inch opening. Its large size allows it to cut every popular die on the market. The machine is constructed with steel rollers making it quite rugged and durable. It cuts smoothly through multiple layers of material and even thin sheet metal. The Big Shot Pro can also be used for quilting. Although this machine can handle a lot, it is on the expensive side, usually retailing for around $300. Some people who purchase the Big Shot Pro are surprised by how big it is. Let me tell you, it’s a big machine! It weighs 44 pounds, so don’t be expecting to be moving it around as much as the smaller Big Shot model, which you can simply pick up. The Big Shot Pro machine is 24 1/4″ long, 15″ wide, and 7 1/2″ high. The handle sticks out about another 5 inches. The machine also has a built-in storage space, which is often a good place to store your tools, dies, and materials. It can then be covered by the sliding tray and operated normally. What can the Big Shot Pro cut? What’s great about the Big Shot Pro and its large working area, is that you can use multiple dies at once, and even cut multiple layers. This is a huge time-saving advantage. It can be great if you are making a lot of homemade Christmas cards or cutting out decorations for a party. The machine does weigh a lot, but it doesn’t move when you are cutting materials. Unlike the Big Shot or Cuttle Bug which requires two hands, this machine only requires one. What about Dies and Adapter Pads? Every Sizzix and Ellison design ever made. 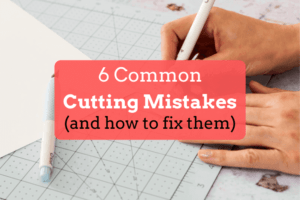 Some of the Movers & Shapers dies have the design at an angle, which can be frustrating if you are working with pattern paper and are trying to get it just right. As an important note, if you are planning to purchase the Big Shot Pro and are planning to make use of embossing tools or the chemically-etched dies, you’ll want to get the Big Shot Pro Solo Platform. If you are working with wafer-thin dies, you’ll want the Wafer-Thin Adapter. These accessories are sold separately and do not come with the machine. These items are sold in the Sizzix Big Shot Pro Accessory Bundle. People often buy the machine and are disappointed to learn afterward that they can’t cut everything they want without having to purchase the bundle. There are extended accessories as well for the Big Shot Pro Machine if you want to use longer dies. The normal adapter pad and plates are 14 inches long, while the extended adapter and plates are 26 inches long. These extended accessories are more popular among quilters who can cut long pieces of fabric. These extended accessories are a bit expensive and are not sold in a bundle, so you must purchase the tray, adapter pad, and cutting mats individually. You can but the Big Shot Pro Machine with extended accessories instead of the normal accessories, but it is more expensive. The machine with the extended accessories is often called the “quilter addition”. It may make better sense to buy the machine with the normal accessories and buy the extended accessories separately, as the price will be the same compared to only buying the machine with the extended accessories. Shop around, you never know what prices you will find. 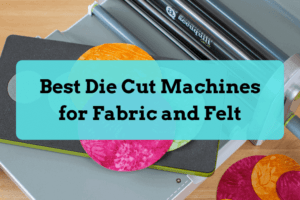 It may seem confusing at first on how to use the machine to cut with so many different dies. The good news is, the adapter pad does come with visual instructions telling you which plates you need and in which order. These instructions are also in the manual that comes with the machine as well. Before you use the Big Shot Pro, some assembly is needed. The only part that needs to be put together is screwing the handle onto the roller shaft. The machine comes with a 3-year limited warranty. This warranty covers any manufacturing defects. Maintenance on the machine is minimal. The machine does not require any oiling or lubrication. However, there are 4 plastic sliding plates on the side of the machine. If these plates show wear and tear, they should be replaced all 4 at the same time. One thing to keep an eye on is your cutting plates. Over time, as with all machines, these plates will get warped and scratched. If you are using smaller dies, you can place the dies in different areas of the cutting plate to make the cutting plate last longer. Overall, the Big Shot Pro is a versatile, well-built machine. It cuts smoothly and can cut almost any die. One drawback is that not everyone likes the size of the machine, but it’s exactly what some people are looking for. Some crafters buy the machine so they don’t have to constantly upgrade. The cost is a little pricey and so are the bigger dies. If you don’t mind the size and price, this is a great machine. If you are a quilter, serious crafter, run a business, or teach a classroom, the Big Shot Pro is a good option. Can I use a metal cutting plate instead of the plastic? Machine only comes with one cutting plate, but if you want to use thin metal dies you need two. Please tell me the exact sandwich to use in my PRO using Accuquilt STUDIO dies. They are thick! I have a brand new PRO and I haven’t used it at all. I got in today several Accuquilt STUDIO dies but I haven’t a clue how to do it. HELP!! !